I had long looks at this boat’s structure and mentally reminisced over the (pretty bad) old days of the 1970s and some of the dodgy construction. In those pre-sea rescue group days, a lot of the rescue towing was done by the Fremantle pilot boat and its massive engines. The towed boat usually hooked the tow rope to its foredeck cleat – all they could conveniently reach. Meanwhile the sporting lads on the pilot boat had modest bets between themselves on what would happen when they took up the strain: would the rescuee settle to the tow; would the cleat pull out; would the foredeck come off? The 1900 was several hundred percent in front of the typical ‘glass boats of that era. Engineering, grouting, finish and all the details were immaculate. A T-top is available but enough fishermen believe a hat gives all the shade they need, without the obstruction, for it to remain an option. The centre console it would protect was nicely judged for size. Big enough for two friendly people to share the seat yet narrow enough for fully workable space at either side. It is a straightforward padded bench seat mounted on a frame with room under it to take an esky. It is a seat likely to get little use as, like many centre consoles, this one feels a natural to stand at. This despite a comfortable and well placed backrest. The windscreen is a good size, meaning air drag when on the road. To counter this the hinged console can be folded; also useful if parking under a low-slung roof. 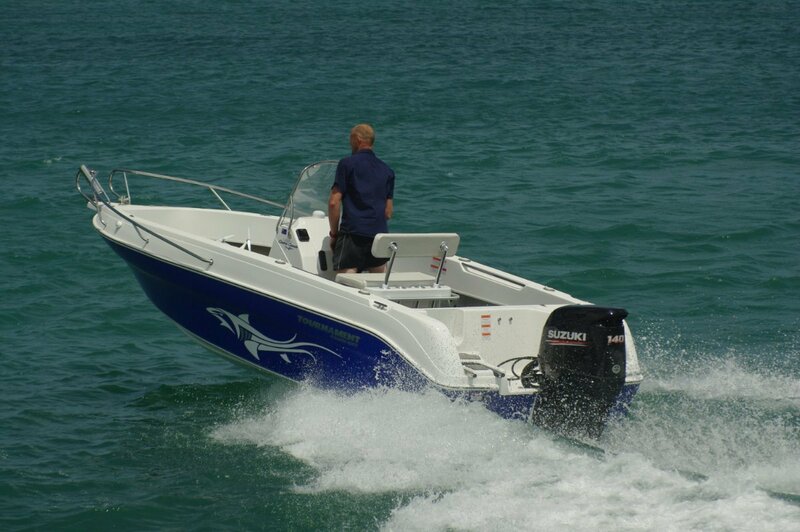 For others on board the transom provides acceptable perching; space for fishing taking priority over travel comfort. And there is a lot of space, its deck sheathed with Ultralon product. This wears well, is kind to bare feet and cleans easily. Most of the deck forward of the console is on the bow platform, this both raises the deck and increases its area. The other thing it does is provide stowage below it, a commodity typically lacking in centre consoles. This forward area is protected by some good bow rails. They are within the hull’s perimeter, a detail that is sometimes missing in otherwise well thought out boats. Let them stray outside the rim of the hull and they become de facto fenders. A socket to take the reef anchor is fixed to these rails. The main anchor is well provided for too: a substantial bowsprit and roller, and a lidded anchor well. The side pockets are exceptionally roomy, giving instant access to most-wanted items. Between them and the coamings are four rod stowage racks on each side. No ostentatious rocket launchers on this boat; other rod sockets are sunk into the coamings, as are several other items. The grab rails aft of the console and the after cleats are recessed; the forward cleats are pop ups. A snag-free perimeter, kind to both fishing lines and people. 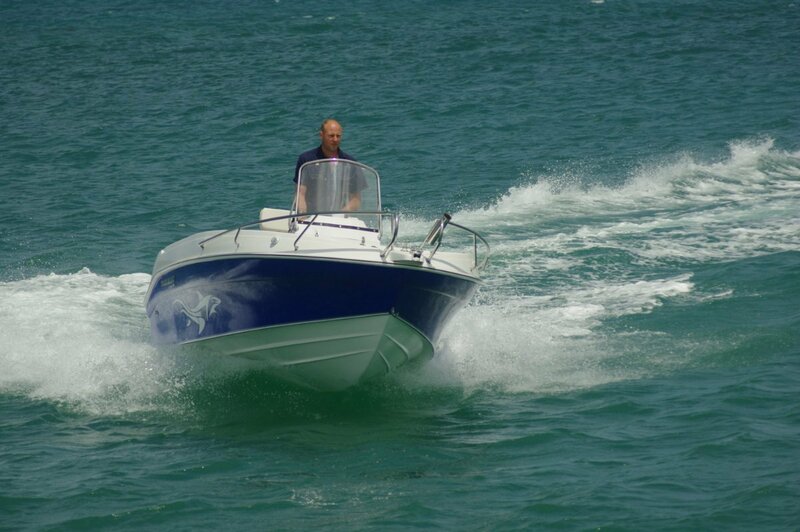 The coaming height is kind as well, tall enough to keep an angler’s centre of gravity in the right place. The recommended power range is 125 to 175 horsepower. The top end is probably best suited to thrill seekers; our more modest 140 Suzuki gave us abundant urge. 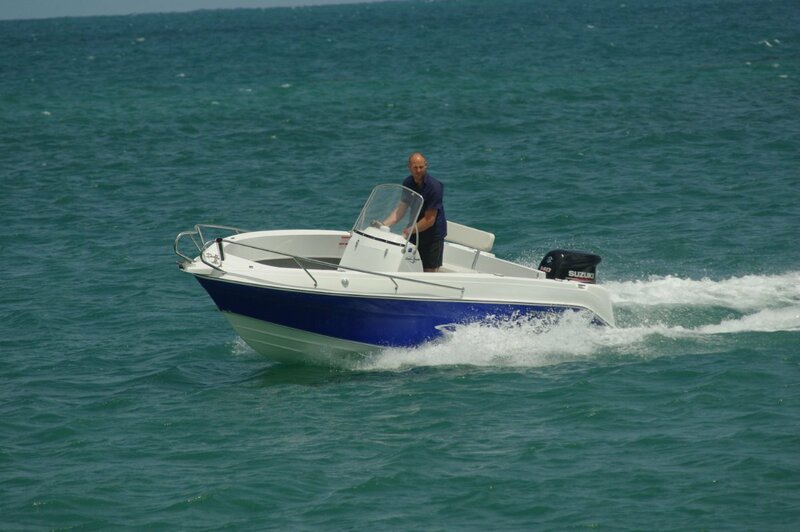 Upping engine power is a quick way of making a reasonably priced boat look expensive. As equipped, the review boat was $76,000. 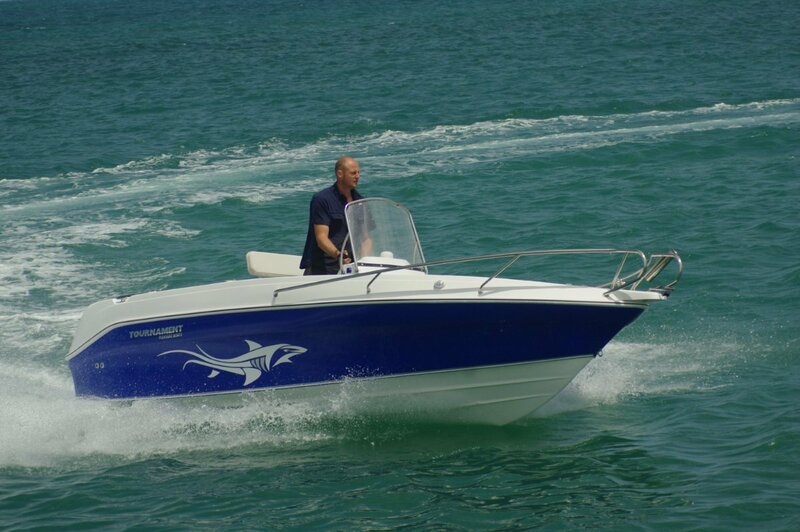 This boat is a delight to play with, giving confidence in the tightest manoeuvres. Ride and stability were impeccable, as one would expect from a builder of Haines’ pedigree. The sharp deadrise of 21 degrees is balanced by reverse chines, giving the good results moving or stationary.